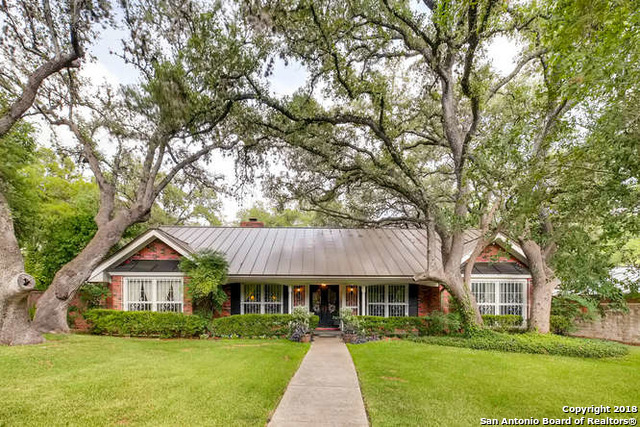 All homes currently listed for sale in the zip code 78217 as of 04/20/2019 are shown below. You can change the search criteria at any time by pressing the 'Change Search' button below. "Unique Mediterranean style home on large beautifully landscaped lot. 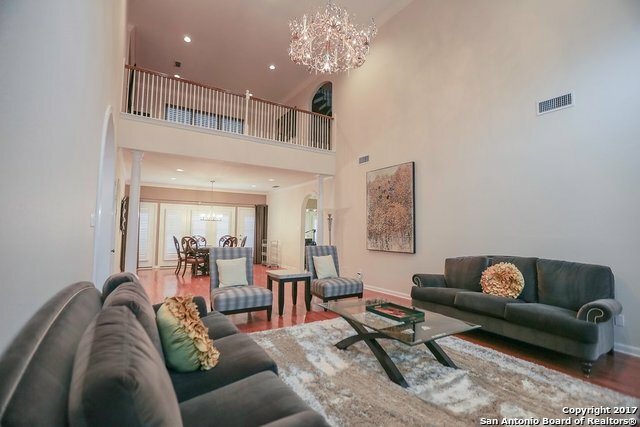 Starts with magnificent formal foyer leading to formal living rm, dining rm, library, elegant master ste, chef's kitchen with nice breakfast area. Downstairs are more bdrms each with sep baths and nice closet space , temperature controlled wine room, game room with French doors to pool and lush backyd. (utility rm down too)Special custom home with fine mill work,much lead glass and great views of wonderful landscaping.This is a "
"Beautiful home in The Estates of Marymont. Craftsmanship abounds! The formal living & dining are an entertainer's dream. Custom cabinets and stainless appliances adorn the kitchen that overlooks the spacious family and breakfast areas. Private master features a grand bath with jetted tub, separate shower and his/hers vanities. 2nd bedroom and bath down. Gameroom and 3 beds up. 1.3 ac. Yard has sparkling pool, waterfall from hottub and sports court. Close to SMH, NE Baptist Hosp and airport." "Unique 5 bedroom, 4 bath family home with breath taking views from living areas, 2 Masters, 1 upstairs and one down. Top of the line appliances, throughout. Game room wired for sound system, wet bar, room for pool table and media area. Beautiful pool area, deck w/spa, fire pit area, Casita completely updated for teenage, mother-in-law suite. More info to follow." 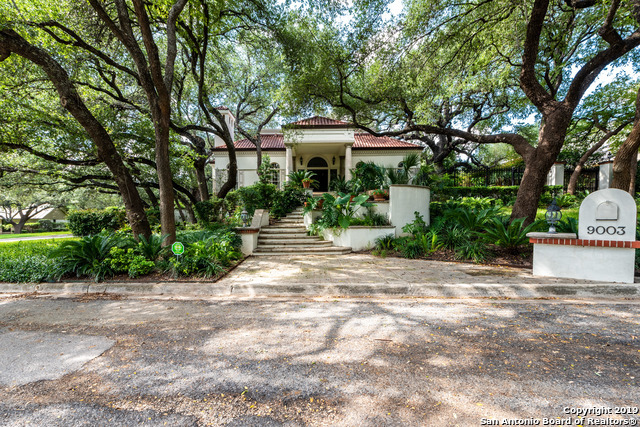 "Beautiful 5 bedroom home situated on .51 acre lushly landscaped corner lot. 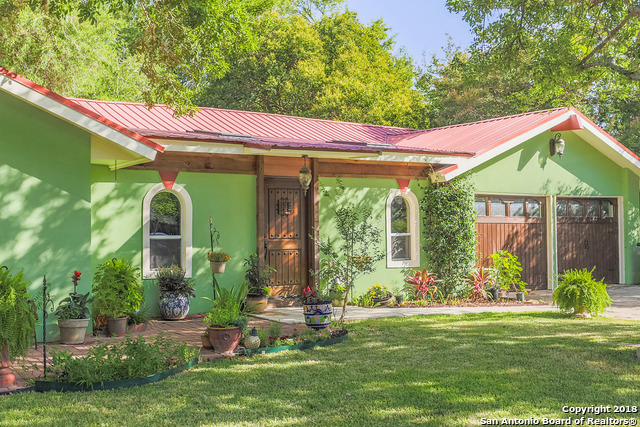 Meticulously maintained by the same owners for 32 years! Private backyard is an entertainer's dream with sparkling in ground pool, firepit, outdoor kitchen and Mosquito Nix system. Master retreat offers access to side and back yards, double vanities, and separate tub & shower. Two dining areas, two living areas, & office. Soaring ceilings with lots of light and floor-to-ceiling wood burning fireplace. 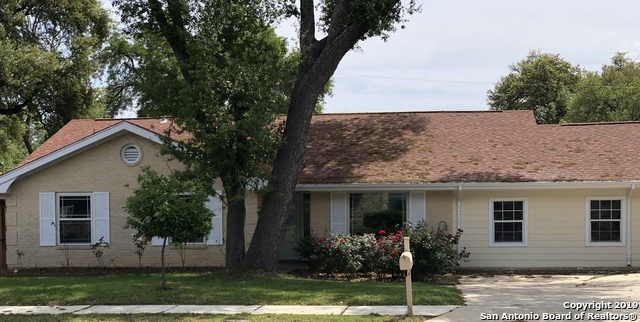 Upstairs cedar cl"
"Large ADA adapted home in Marymont San Antonio, zoned NP-15, previously used to house physically handicap persons in need of minimal rehab / ADA accessible facilities. Can be used as assisted living facility with maximum number of 6 residents. 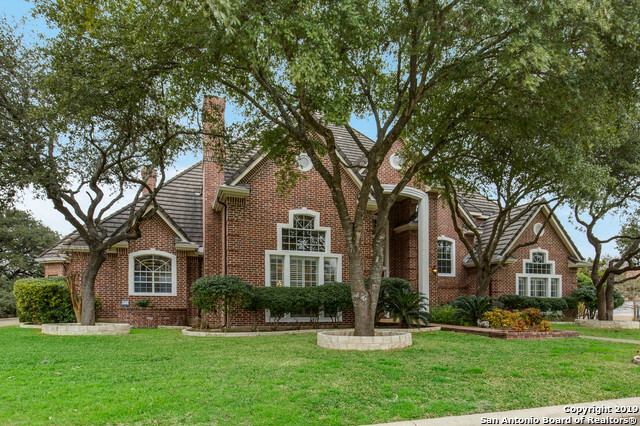 Beautifully treed corner lot, 6 bedrooms/ 5 bathrooms, huge open living area with high ceilings and fireplace. Also has a converted 3 car garage (now open storage space), and outdoor pool with wheelchair access and lift." 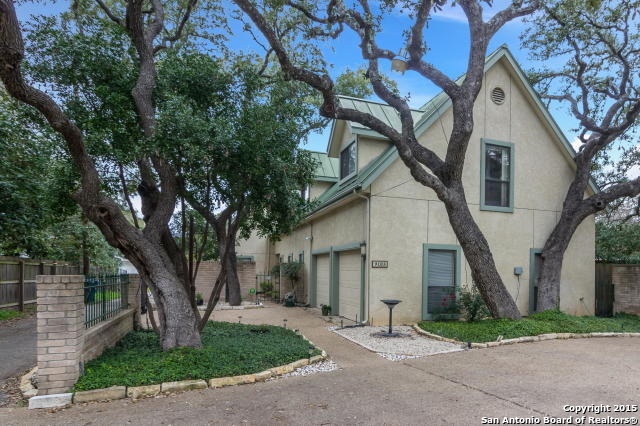 "Exceptional, spacious home on secluded site in Forest Oaks. The inviting interior decorated in neutral tones features a great kitchen with a large island, granite tops and recessed lighting. The home offers generous space and flexibility with multiple living and eating areas, 5 bedrooms and 3 baths. Entertain in the family room with bar area and fireplace or poolside on the covered patio. Unwind after a long day in the first floor master retreat with en suite bath. 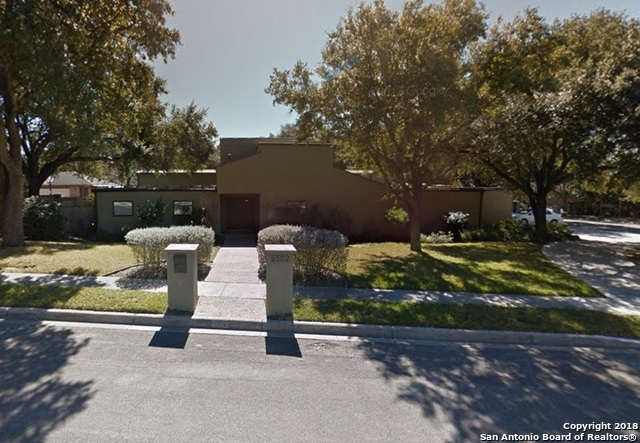 This must see home is shown by"
"Rare Mid-Century modern home set on shady lot. 1-owner home designed by owner-architect recalls the prairie style of Frank Lloyd Wright. Circular drive & walkway lead to strong horizontal lines of front facade + offset 2 car gar. Bright open plan has fam rm-kitch-din area perfect for entertaining w/vaulted, beamed ceilings & terrazzo flrs + backyard view. Sep formal liv rm w/soaring windows, & brick fireplc w/cantilevered terrazzo mantel. Master bdrm has sitting area w/outside access. Fenced yar"
"Spacious single story home has lots to offer.Walking distance to St. Mary's Hall. Easy access to 410,281&35. Plenty of room for a new growing family. 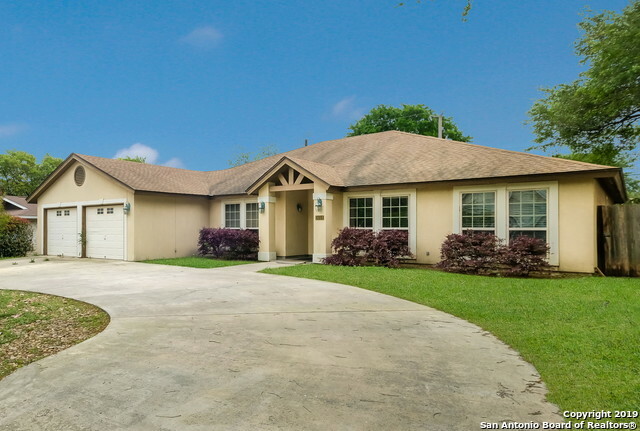 Established neighborhood with mature trees & pool.3 living areas & 2 eating rooms. The sun room is a great area to read your favorite book and still be close to the beautiful pool area.Don't over look the garden like court yards that are perfect for your morning coffee.Appliances and some furniture they are willing to negotiate w/. Seller are moti"
"Over half an acre on a corner lot and central living in the city with great proximity to world class shopping, entertainment, and dinning. 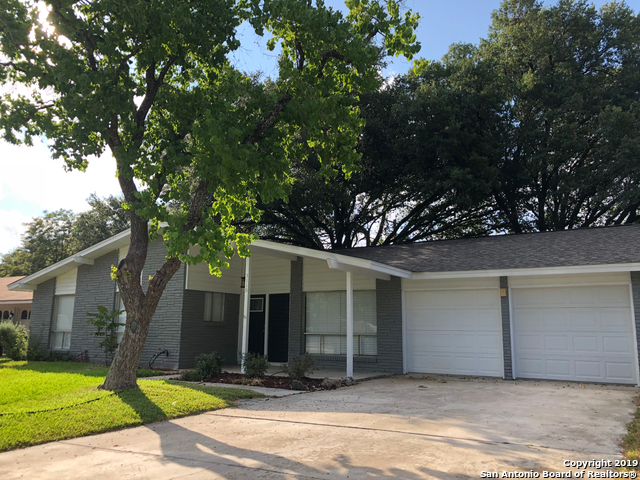 Home is move in ready with new ceramic flooring in the kitchen and bath, new custom hard wood cabinets with soft close, new granite, blacksplash and high end appliances. Home offers triple double pane energy efficient and sound proof windows as well. Home is ADA accessible with ramps handle bars in restrooms, wide hallways and wide doorways"
"A must see 3bdrm/3.5bth! Centrally located and close to shopping and the airport! located in a gated community. 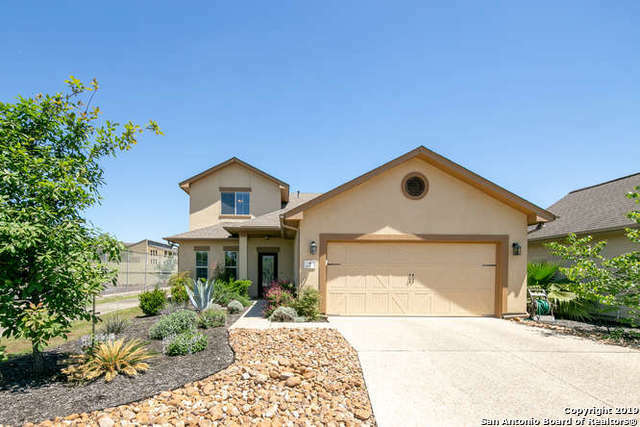 This turnkey home has an open and versatile floor plan with soaring ceilings in the main living. The Master suite is provides a private retreat and ALL bedrooms are accommodating with their own on suit baths. Every story is complete with a living area. This must see home has a finished out loft. AC units and roof have been replaced. Maintenance free living!" "Ready to make a safe investment in a furnished, fully functional, Short-term rental. Profitable w/ 4 years of available tax records. 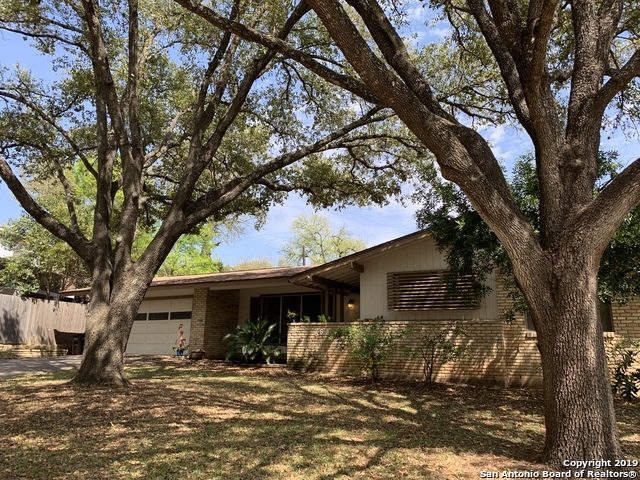 Buy and Live, Buy and Lease (short-term) This 1000 Oaks location, backs to a signature hole on a beautiful city course centrally located to the whole city. Gated, golf course community and this fabulous floorplan make this a desirable home or short-term rental. Priced below FMV as a short-term rental. Call us today to see this opportunity. Fully Furnished. 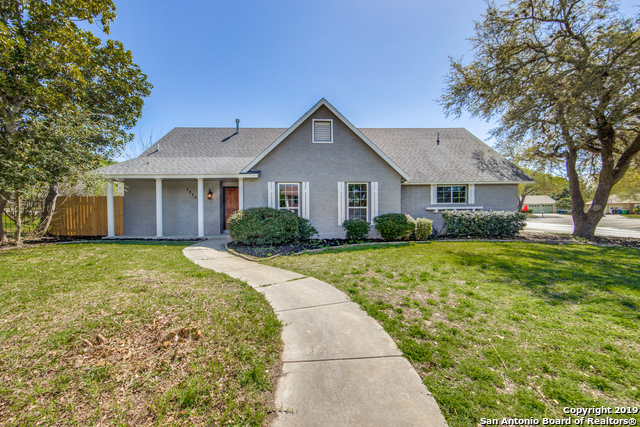 Must"
"Fantastic family home in coveted Forest Oaks neighborhood. 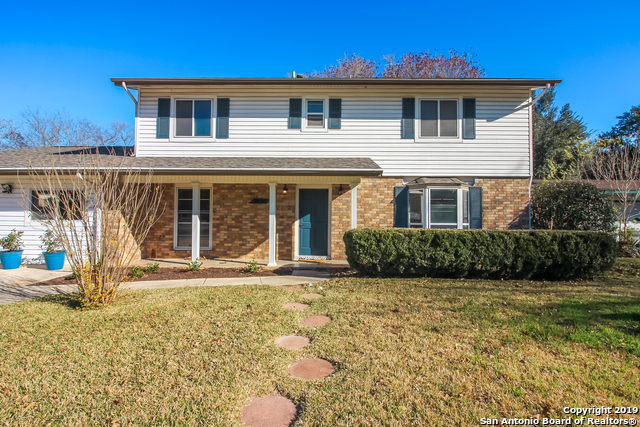 Four bedrooms & 3 baths pristine condition, new roof in 2016. Open floor plan & large backyard with privacy fence. Family room and living have a 2 way fireplace, & huge play room. Back bedroom has private bath great for guest suite." "**CASH BUYER ONLY per $5,600 needed foundation repair. Sold AS-IS. MOTIVATED SELLER $30K REDUCED* Your own French Quarter Villa in SA! Single story 5b/3b w/over 3,600 sq.ft. in quiet neighborhood located near airport, 8 min from downtown. 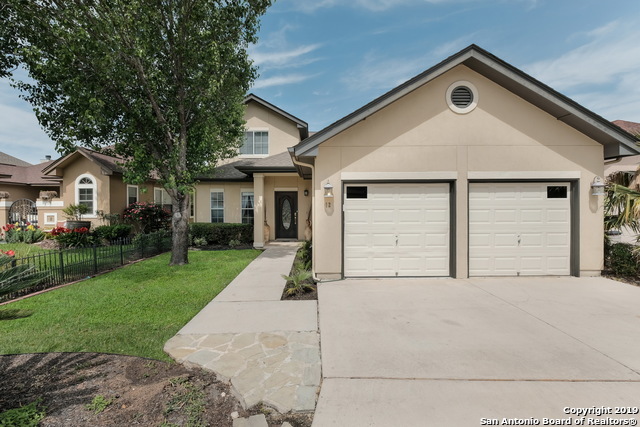 Exterior has beautiful stucco, metal roof & front patio. Rustic door welcomes you through indoor atrium w/skylights adjoining to an impressive open space of travertine floors, tall ceiling & exposed brick! Kitchen has huge granite island. Master bed/bath retrea"
"MidCentury Retro w/endless possibilities- Nothing to UNDO,it's all vision. 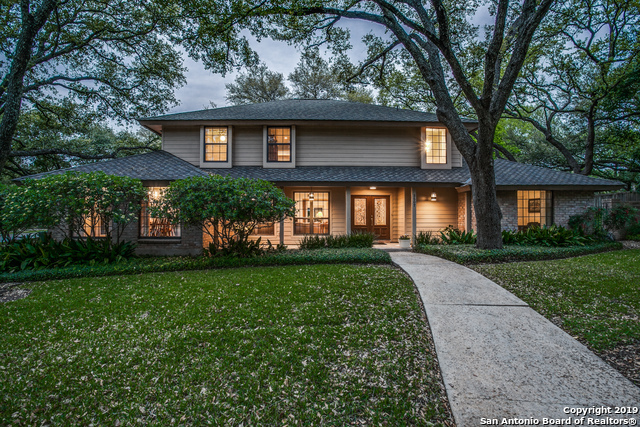 Nestled privately under mature oak trees,wide & deep lot gives Buyer lots options for expansion. Single story w/all brick, only 2 owners in 58 yrs & both have impeccably maintained home inside & out. 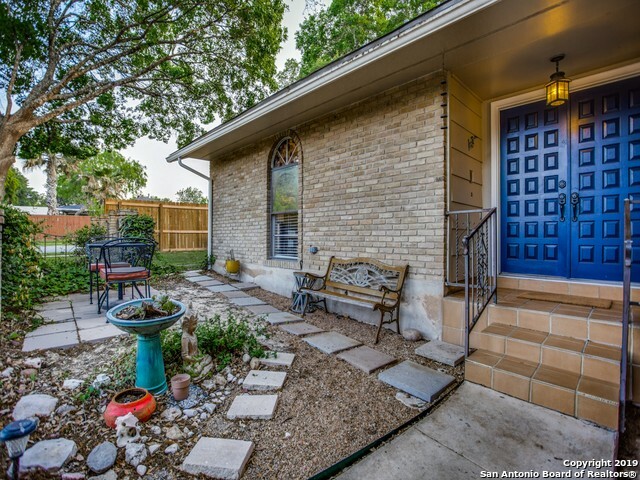 Situated on a slight bluff w/backyard privacy from all angles, add. shed on slab could be a playhouse. *Huge play room addition 22' x 20' w/fireplace- New HVAC (2 systems), new roof, insulation,wtr htr, & electrical updates."